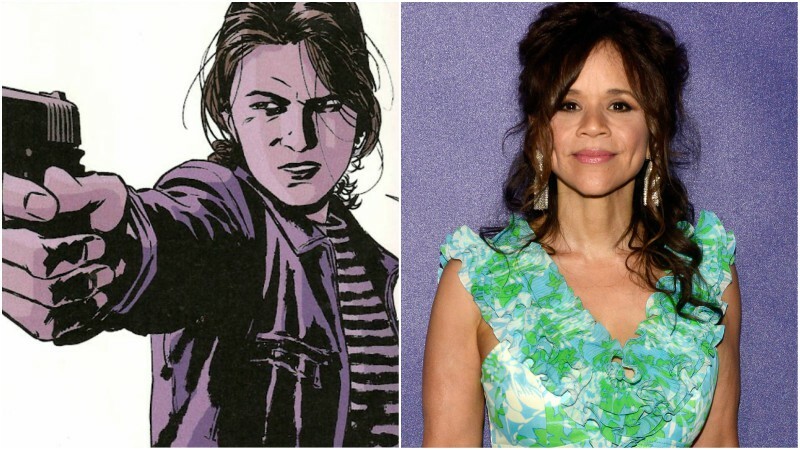 Following the recent casting of Mary Elizabeth Winstead as Huntress and Jurnee Smollet-Bell as Black Canary, The Wrap reports that Academy Award nominee Rosie Perez (Fearless) has signed on for the role of Renee Montoya in DC Films’ upcoming Birds of Prey movie. Cathy Yan will direct the film which is set to be released on February 7, 2020. Montoya is one of the leading characters in the Birds of Prey movie; however, it’s unclear if Montoya will be the vigilante known as The Question. In the comics, Montoya is an openly gay police detective at the Gotham City Police Department who was once in a relationship with Batwoman.